LUX: What kind of experience does Il Borro offer guests and what makes it unique compared to other luxury estates? Salvatore Ferragamo: Il Borro is truly unique because at the heart of the estate lies a medieval hamlet, dating back 1000 years which has been transformed into luxurious suites and villas through careful and respectful restoration. Authenticity is the cornerstone of all past and present activities at Il Borro. This place is one of a kind because of its tradition, at Il Borro, history, art, Tuscan culture and nature offer exclusive experiences and atmosphere that are impossible to find anywhere else. I refer, for instance, to our Wine & Art Gallery, an artistic description of the history of wine through my father’s collection of prints and artworks from the 15th century to the present day which include works by Mantegna, Goya, Rembrandt, as well as modern artists like Warhol and Picasso. The gallery introduces guests to our cellars, which have been enlarged to enable a higher production of wine, yet still represent a respectful extension of the area beneath the 19th century villa. At Il Borro we take care of our soil with an old-standing organic method and all our products are both pesticide and preservative free. 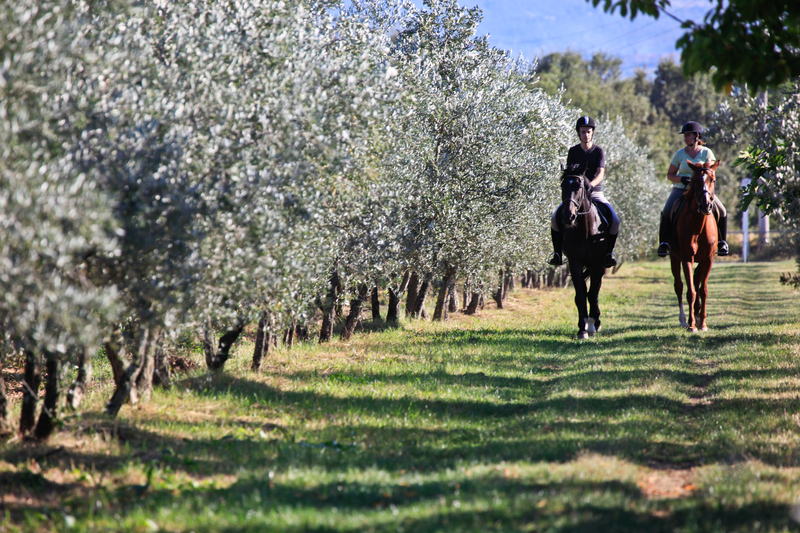 We harvest the grapes, go horse-riding on the estate, pick olives and cultivate vegetables in a spectacular one-hectare garden. 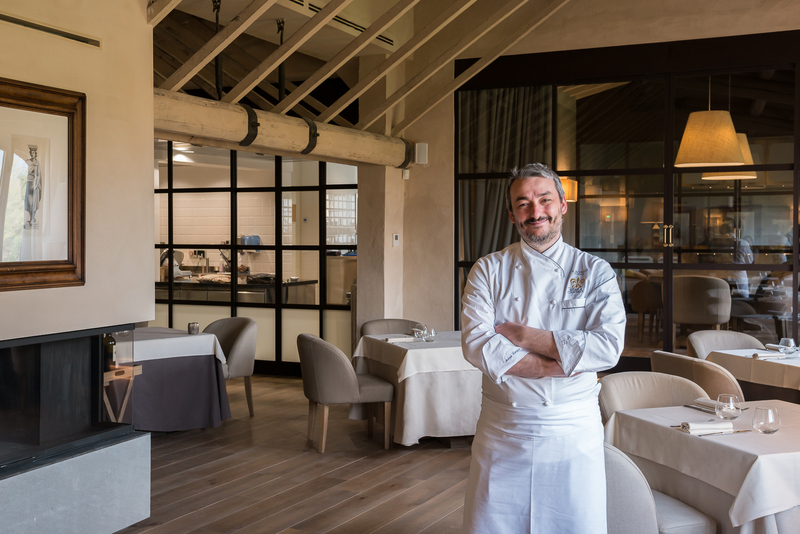 Il Borro is a lively place, where we work the land to reap the fruits that our customers can taste in the Tuscan recipes prepared by our chef, Andrea Campani. And of course there is a relaxation area, with eco-friendly pools and a spa free of machines, where guests can enjoy a range of treatments carried out by our professional team. LUX: What inspired the project of Il Borro Ferragamo wine estate? Salvatore Ferragamo: It was the history of this place – all we had to do was bring the traditions of this land back to life. Our vineyards are spread over about 50 hectares and we make 4 red wines in total; Il Borro, Polissena, Pian Di Nova and Alessandro dal Borro, our white wine Lamelle is 100% Chardonnay. We also make an exquisite Vin Santo and the jewel in the crown of our wine cellar, Bolle di Borro, a sparkling Sangiovese Rosé made in the classic method. LUX: How do you compete against more established names and estates in the world of winemaking? Salvatore Ferragamo: We do this through authenticity and excellence. We could produce three times as much wine, but instead we prefer to offer a product of the highest quality. We don’t exploit our land, we take care of it. Our wines are the result of oenological research, aimed at making premium wines through challenging combinations and effectively looking after the grapes of our territory. On top of all this, we have a unique place: the medieval hamlet where our guests can enjoy an unforgettable experience in an authentic atmosphere, with all the comforts. LUX: How has the rise of digital marketing and social media affected the way you approach business? Salvatore Ferragamo: Digital marketing and social media are the tools of today and they represent a great opportunity for us. Every day we strive to make improvements, using creativity and lots of energy. They offer us the opportunity to communicate in real time and with emotional impact all of Il Borro’s values: hospitality, winemaking, food, health, nature, history, and traditions. LUX: Have you always been passionate about wine? Salvatore Ferragamo: I can’t think of a time when there wasn’t a bottle of wine on my family’s table. Wine is part of Tuscan culinary traditions and being a food lover I cannot imagine dinner, and sometimes even lunch, without a bottle of good wine. Taking care of Il Borro’s winery just came naturally. The best moment of my day is when I start work with a walk through the vineyards. 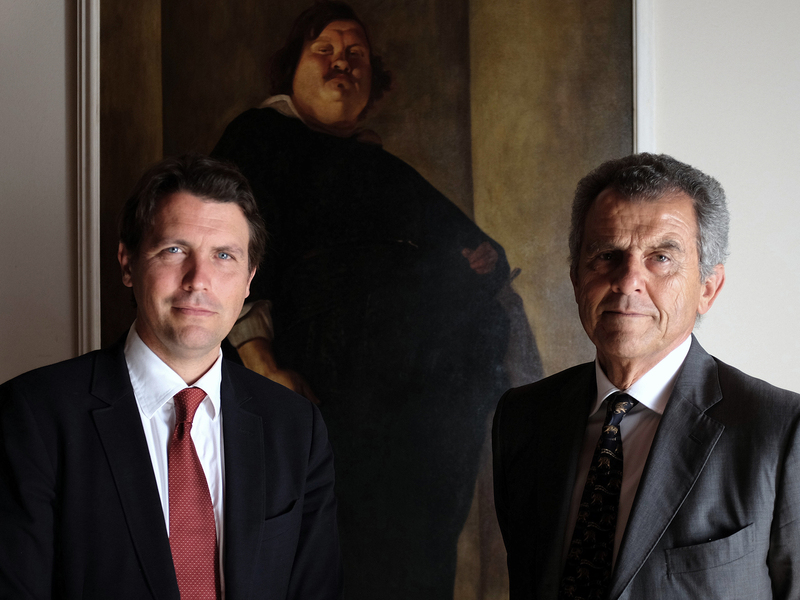 LUX: Wine and hospitality are relatively new territories for the Ferragamo family. What are some of the challenges you’ve had to face along the way? Salvatore Ferragamo: Yes, that’s true. But some elements are not new to my family: the Made in Italy mission, craftsmanship, and the Tuscan lifestyle. Il Borro encapsulates all of these elements. The real challenge at Il Borro is respecting the estate, the land and its gifts, through innovations on which we invest considerably, to preserve the authenticity and, at the same time, offer high quality hospitality. LUX: Is your name a passport or a burden? Salvatore Ferragamo: My name is an honour…except when somebody thinks that I’m “the shoemaker of dreams”, that was my grandfather! Having said that, I am fortunate to have examples of very successful entrepreneurs within my family, and I can honestly say that it’s a great source of energy and a positive challenge. LUX: The Relais & Châteaux group, of which Il Borro is a member, is renowned for the best culinary hotels across the globe. What do you think makes food exceptional and what’s your favourite Italian dish? Salvatore Ferragamo: This is a difficult question, since food, like wine, is a sort of magic. The creativity of a wine-maker or a chef together with high quality ingredients that, in the end, make the difference. My favourite Italian dish… another difficult question. Probably Tagliatelle with Wild Boar Ragù in winter and Risotto with Tomatoes and Burrata Cheese in summer followed by a barbecue of our Chianina beef. LUX: How do the other aspects of the Ferragamo family business influence the running of the Estate? Do you see it as a collaborative project? Salvatore Ferragamo: We prefer to keep the two family businesses separate, however, I would say it is the strong core of business and entrepreneurship which has been inherited from Salvatore Ferragamo (my grandfather) to my father and my father to me, and of course the Ferragamo name, which links the two together. LUX: Does Tuscany hold any particular relevance for the Ferragamo family? Salvatore Ferragamo: Tuscany is my land even though my grandfather was from Naples and my mother is English. This is where I grew up, where my family established the brand, and also where a large part of the new Ferragamo generation lives. Tuscany represents Ferragamo’s creative inspiration at all levels, and we are very proud to be recognised as one of the leading Tuscan/Italian brands in the world. LUX: How has the world of luxury hospitality evolved in recent years? Salvatore Ferragamo: I think there is a growing demand for authenticity. Travellers seem to be less interested in serial/signature hotel concepts, and the magnificent but cold buildings without history, without a soul. Travellers want to live and feel the experience alongside luxury and this offers a truly unique opportunity. LUX: What’s next for Il Borro? Salvatore Ferragamo: We have so many exciting projects in the pipeline, most notably: the launch of a 100% organic wine; the opening of Il Borro Tuscan Bistro in Dubai, the first restaurant in our franchising project, with the aim of eventually taking Il Borro’s Tuscan cuisine and wines around the world; the implementation of the biological production of our honey; and we also plan to provide Il Borro with an olive oil mill to produce our own biological extra virgin oil. LUX: How do you manage to balance work and pleasure? Salvatore Ferragamo: I believe I’m lucky, because I love my job. I could never have spent my days behind a desk. Since I love going horse-riding and playing golf, everything is within reach here at Il Borro and I can easily make the most of the little free time I have, doing what I love!